We are the only school that will let you talk with our tattoo students, past and present, on Facebook. Speak to our students and they will tell you how good we are, check this out and you will see. Why not watch some of our student videos, taken while they were training to give you a feel of the quality of work? Our courses are based on one on one training and not in a classroom. But that does not mean the instructor will be spending hours a day with you. An instructor has to spread their time around the studio and with other students and clients etc. We are very busy. 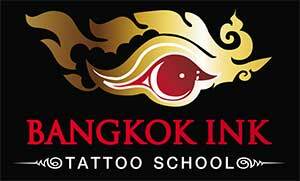 You are joining one of the top tattoo schools in the world and one of the top studios as well. So please show respect and appreciate where you are. You will have to fit in with this environment, not the other way around, this is very important. You need to learn to operate as a tattooist on your own, so when you leave the school you can do tattooing alone as there will not be an instructor with you. This also is very important. There will be an option of training as many hours as you like by yourself on fake skin. But the school is closed on Sundays for cleaning. We really want our students to do well in the time scale they have allowed to learn tattooing. I do not comment on other schools, I will let you read between the lines. We continually get students and repeat bookings. One student has been here 8 times and another has been with us for a year. In fact, we are getting students from other schools, as they do not want to go back there. I think that is down to the fact we are open and honest on our website and Facebook. We also let our students learn to whatever level they can reach at just one price. This is probably one of the lowest in the world but at the highest standard of training. Also, we have put a program in place to give our students discount, so students can afford to carry on and reach their goal to be a tattooist. All students want to stay with us, as it is a fun place to be and they meet new friends who they keep in touch with. We prefer students to stay with us. Students who stay of the premises sometimes get distracted. We do not promise the world or put you in a room full of expensive equipment just to impress. That does not get you tattooing. Hard work and the love of tattooing does, and of course a good teacher helps. We have nice clean premises with air conditioning, and of course, all the equipment that is needed to operate a tattoo studio. We have low cost out goings so there is no pressure on us to cut corners when teaching students. We live on the premises so you don’t have to stop training when the studio is closed, only on Sundays. It really is proving to work and our method helps our students. We are totally committed to getting our students to the highest level possible before they leave. We provide five human models per week after the student completes five to seven days of training and when they have reached a good level of tattooing. You can choose any starting date that fits in with you as long as we are not already booked up for those dates. Any day from Monday to Friday but yes, we do prefer you to start on a Monday if you can. Just find out about your flights and let us know. We will help where we can and we do understand that flights, transport, work commitments and lots of reasons can vary and of course the price of the flight ticket. Decide your preferred dates and let us know and we will tell you if it is ok.
We don’t just say we are fully booked for the next three months to make it look like we are really busy. Other schools do that because ninety nine percent of people book around four to six months in advance. Tattooing is a specialized trade and very few people do it, that’s why it pays well. We try to keep it at four or five students as that is a good number to teach. Sometimes we have five to six students crossing over for a few days, but some of those will be very experienced students on repeat courses who will share their knowledge with others.